Flying on Malindo Air to KUL on an one-way ticket was a no brainer. It offers the cheapest airfare and the best thing of all? The airfare includes 20KG luggage allowance which is more attractive than flying on the Low Cost Carriers: TigerAir, Air Asia and Jetstar. 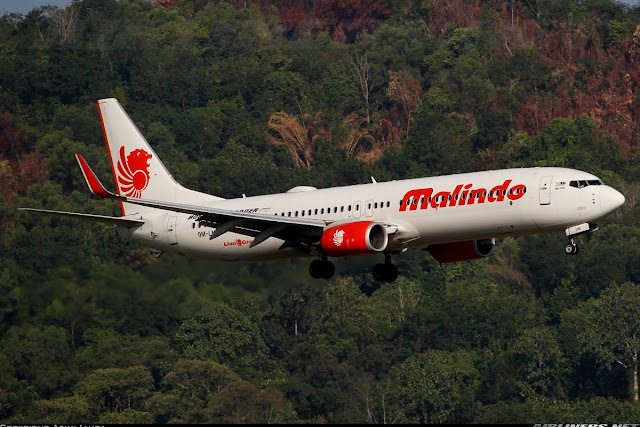 The existance of Malindo Air is the best thing for aviation especially in Malaysia and Singapore, not only does it offers low fares, it also offers good in-flight products. Now that the airline is flying 4 times daily on SIN-KUL route, its my first choice and this airline is in my recommended list, so fly this carrier with confidence! The previous night, I flew in from Jakarta with Air France's Boeing 777-300ER, you can check out that trip report over here. 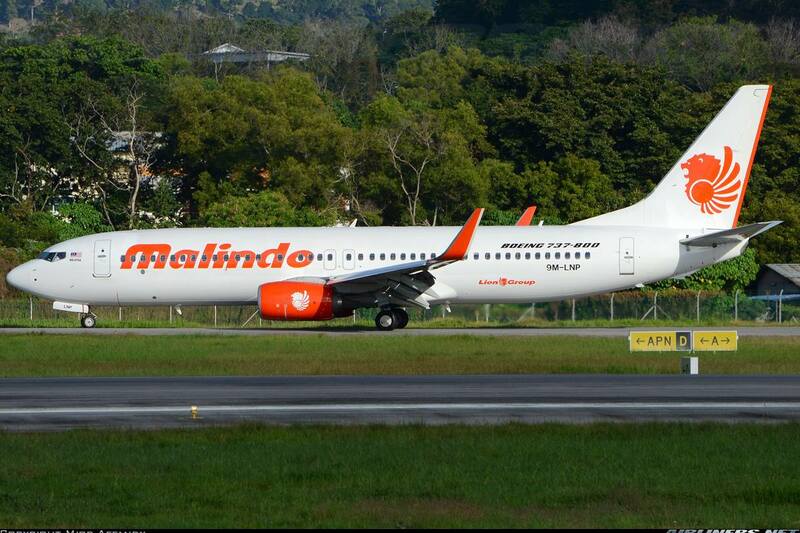 It was my first time doing a "layover" in my own country, I was to depart the following day to KUL with Malindo Air. I paid about S$50 for the one-way ticket and this includes 20KG allowance. So why should I pay more for Low Cost Carriers? I went to the airport around noon time, went to do some plane spotting. The day before, news of 9V-SKI's special livery went viral and I hope to be able to photograph the aircraft there. 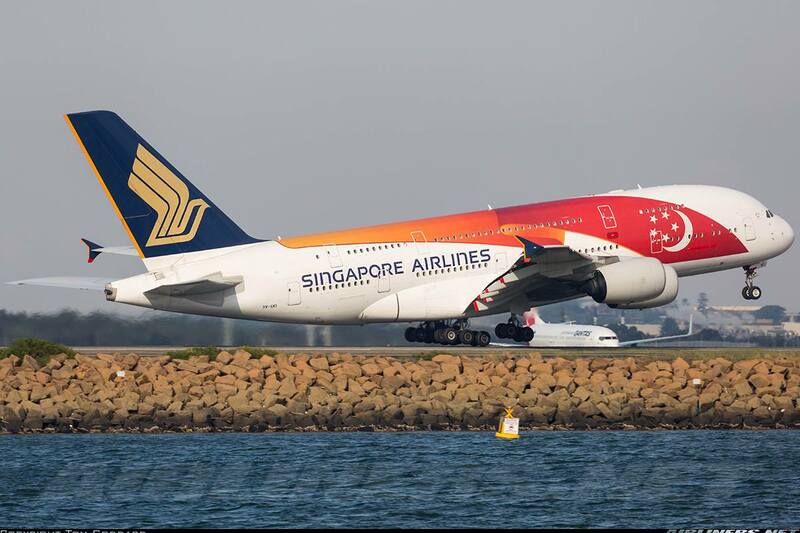 Here is the photo of the aircraft, credit goes to the photographer. Initially, I hated the livery, but now after having seen the aircraft in real life, I don't really mind it that much, but certainly it will never be in my list of favourite liveries. Fantastic photos by both photographers. What do you think? Anyway, I didn't see it but met up with one of the aviation geeks and had a small discussion about the aircraft. After that, grabbed lunch at Astons before making my way to Terminal 3 where the airline is based. I had the pepper steak for lunch! The Safety Bear - a popular sight in the 1990s. Checking my flight, its scheduled to depart on time. My first flight with Malindo Air departing from Singapore. I was hoping to fly on 9M-LNP, the one of the 2 737-800s that the airline is operating at this time. I have flown on the other, 9M-LNM. The check-in counters were pretty quiet at that time. Got my boarding pass, my seat was chosen by the staff and didn't have to pay for it. Turns out to be a great seat! Spotting a SQ's Boeing 777-200ER (9V-SQN) aircraft pushing back. Making my way to the gate at the not so busy timing at Changi Airport Terminal 3. Fortunately only my flight was using one of the gates, so going pass security was fast. There is even a playground for the little ones to hang around while waiting for the announcement to board the aircraft. I did some spotting while waiting for the aircraft to arrive, it came in around 1600 hours and my schedule departure time was at 1625, but we board the aircraft at 1620 and pushed back about 10 minutes later, not bad! I was pleased to fly 9M-LNP which was the first time for me. Here are some photos of the aircraft. Boarding the aircraft was fast and I have become familiar with Malindo, this is my 6th flight with this airline and I have not flown on a single airline for this many times since late 2000! For more cabin photos of Malindo, you can refer to my other report of Malindo Air's Boeing 737-800 trip report. Flying with Malindo at this time means no electronic device can be used even your cell phone is in-flight mode. That is disappointing, so hopefully that will change in the near future. Flying with Malindo Air, you are guaranteed to get the Boeing Sky Interior when you fly on the airline's Boeing 737NG - I am a fan of it. Once again, back to this comfortable seat! I was glad that to have gotten this seat this time with an empty seat beside mine. Originally, a kid was sitting there, and he moved to another window seat. Decent cabin of Malindo Air - one of the best out there in my opinion. On the way out of the aircraft after a quick hour of flying. Windowless seat, can't remember what number is this. A pile of safety cards were spotted on the floor, what was the passenger at this seat doing? The flight was uneventful, with some small turbulence along the way. The Captain kept the seat belt on through out the flight so didn't leave my seat. The cabin crew were so-so, I wasn't impressed with one of them (senior staff) lecturing a Bangladesh passenger not to use his phone. It was like a teacher discipling a kid, as I overheard every single word said. That poor passenger kept his phone after that and didn't dare to disobey the crew. A change of mentality is needed for some of these crew. If she did that to me, I would have sent a complaint to the company, that's for sure . Equality - sadly, some of these people still don't understand. No one or any race is superior than the others, agree? I like the in-flight map system, unfortunately it was shut down while the aircraft was descending. There were kids on board, so I thought coffee wasn't really suitable. Perhaps Vanilla or Chocolate is more appropriate since there isn't any choices. The airline has finally introduced the in-flight menu but you have to pay for the items. When I flew on this flight, both the food and merchandise were not available. I will try one of the hot meals next time. I will probably get the polo-shirt. Here are some window-shot photos! A good view of Singapore, thanks to the fine weather. Flying through cloud is almost guaranteed turbulence. Flew out of the clouds not long after, enjoying the view of Malaysia Peninsula. We have started our descend. On approach to KUL, runway 33. Passing by the KUL 2 which is a huge improvement over the defunct LCCT. After arrival, I had a good exercise from the gate to the arrival hall. The duty-free shop is located just outside of the immigration area, this is to encourage you to purchase something. Collected my luggage about 10 minutes later. Off to the KLIA2 Express train station I go. 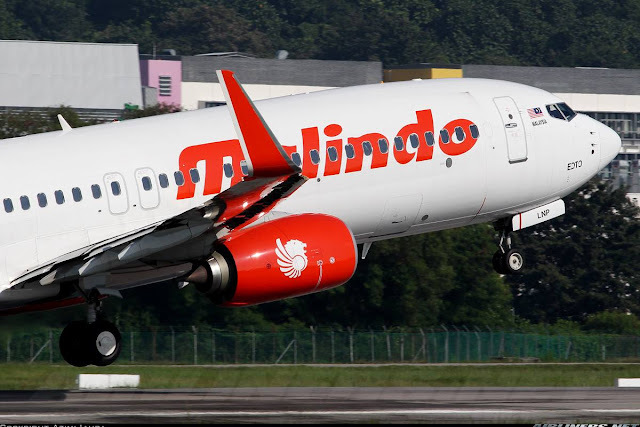 Malindo Air is certainly an airline to fly with especially on international flights. This airline is not really a Low Cost Carrier and also not a full cost too, its somewhere in between yet it offers very low fares, cheaper than Low Cost Carriers in fact. That's why this is my preferred airline for flights to KUL and also possibly on domestic flights however, its routes and frequency can be limited. 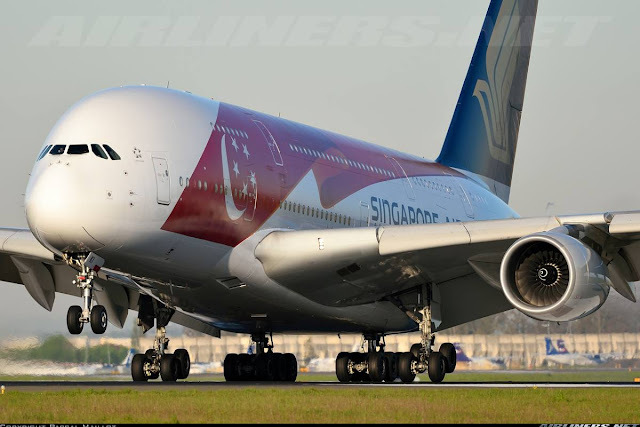 The airline will take delivery of more aircraft which means new routes and frequncies on certain routes will improve, so if you drop by Malaysia or at a destination which the airlines fly to, go ahead and give it a try. Comparing this to Malaysia Airlines, the revamp company has to do much better than in the past to attract the locals. Hope you enjoy this trip report, do feel free to check my past trip reports with this carrier.